Pandora is hosting El Pulso Live headlined by Zion & Lennox with Reykon as the opening act in Miami. It will be held at Palace Ice Studios on Tuesday, June 19. El Pulso is the newly launched destination for Latin Music, that features artists who are breaking genre barriers. 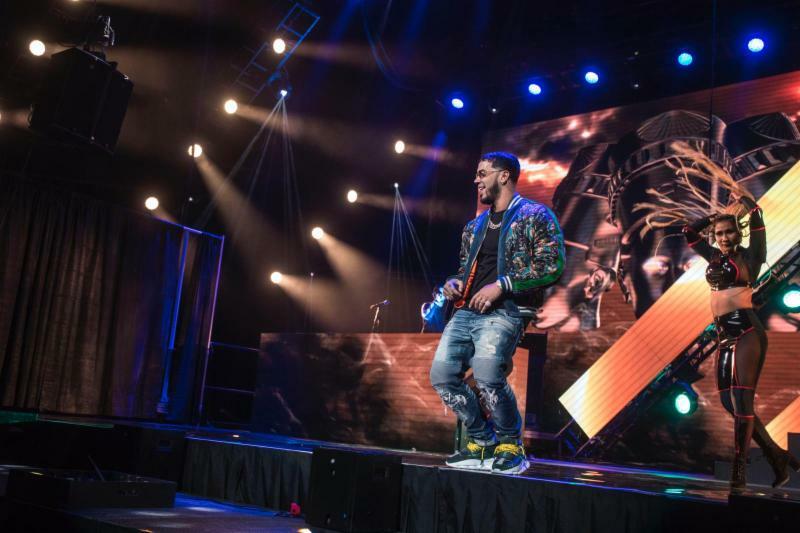 The Station features musical artists including Karol G, Bad Bunny, Leslie Grace, Sebastian Yatra, Mau y Ricky, Bryant Meyers, and more. The best part is that the event is free and you can RSVP here. 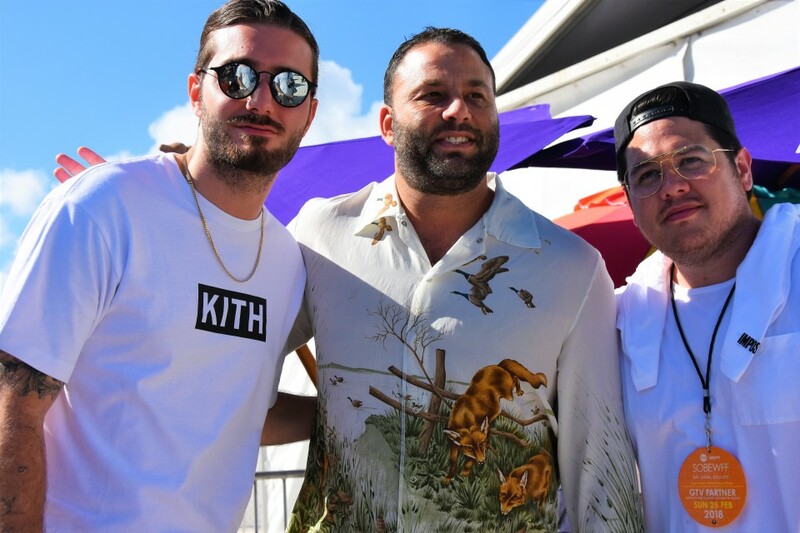 “Our live events are hugely popular with our audience and we’re thrilled to be bringing the inaugural El Pulso concert to the incredibly vibrant musical city of Miami,” said Jeff Zuchowski, Vice President of Artist Marketing and Industry Relations at Pandora. Throughout the launch, Pandora has partnered up with brands such as Clamato®, Denny’s, McDonald’s®, TitleMax® and Ulta Beauty. “Pandora’s the leader of Latin music streaming in the U.S., and we’re always looking for ways to present our listeners with unique musical experiences featuring the most relevant and requested artists of the genre. El Pulso headliners Zion & Lennox are one of the highest streaming acts on Pandora with over 1 billion spins, and we know fans are going to be excited to get a chance to see them perform live,” adds Jeff. According to the event page, doors will open at 7 p.m. and entry is not guaranteed. You have to be over 21 years of age to enter and show a valid photo ID for entry. You can follow along on social using the hashtag #ElPulsoDePandora. Get ready to celebrate 20 years of Ultra Music Festival! Whether you’re a local or visiting Miami for the festival, here are useful apps to make the most of your experience. 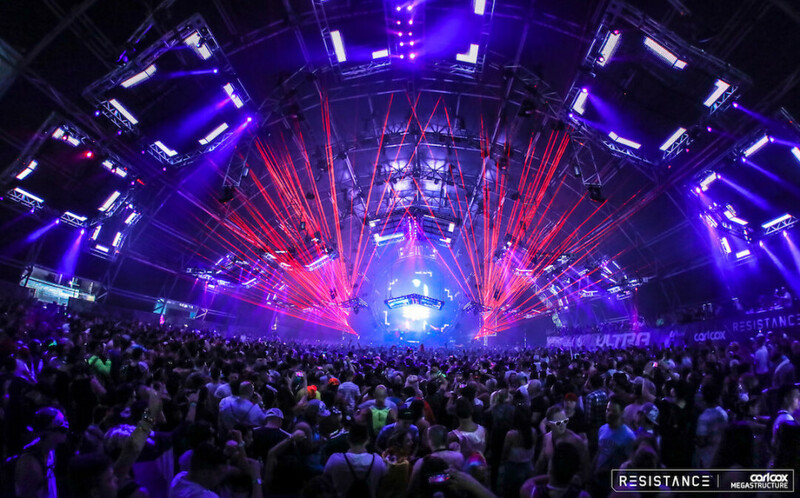 Ultra Music Festival launched the updated version of their app on Monday. It features profiles on all the artist performing this year, a list of prohibited items, a FAQ section, and an interactive passport. The passport section awards you points, based on your attendance to Ultra Music Festival events. You can earn silver, gold or platinum status. Though it’s subject to availability, platinum status can land you access to special viewing platforms for select artist performances. Bonus points can be attained if you attend an Ultra event on a continent outside of your home area. Before and after your full days at Ultra, you may want to fuel up on food. 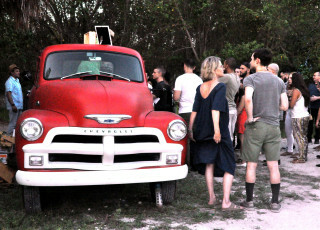 Yelp lets you filter by what’s hot and new in Miami, price, delivery, offering a deal or whether the place is open. Whether you want to spend a little or a lot, you can choose to filter places from ($) one dollar sign to (4) four dollar signs. Guess how many dollars sign to eat at Salt Bae’s new place? Keep your friends! Let’s face it, sometimes your friends want to pick up the first round of drinks. 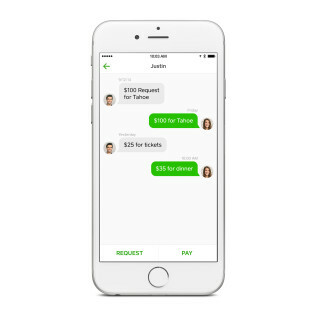 If they keep insisting to pay for your drinks, do them a solid and send them cash via the Cash App. You know, in case they’re the type of friend to keep tabs. You probably already use this app. Now, Uber is offering an Express POOL option to save you money. It has you walk a little to a meeting point, but offers a more inexpensive fee for pool rides, fewer detours and a more direct route to your destination. If you’re getting to the festival by car, make sure to have the PayByPhone app for mobile parking payment. 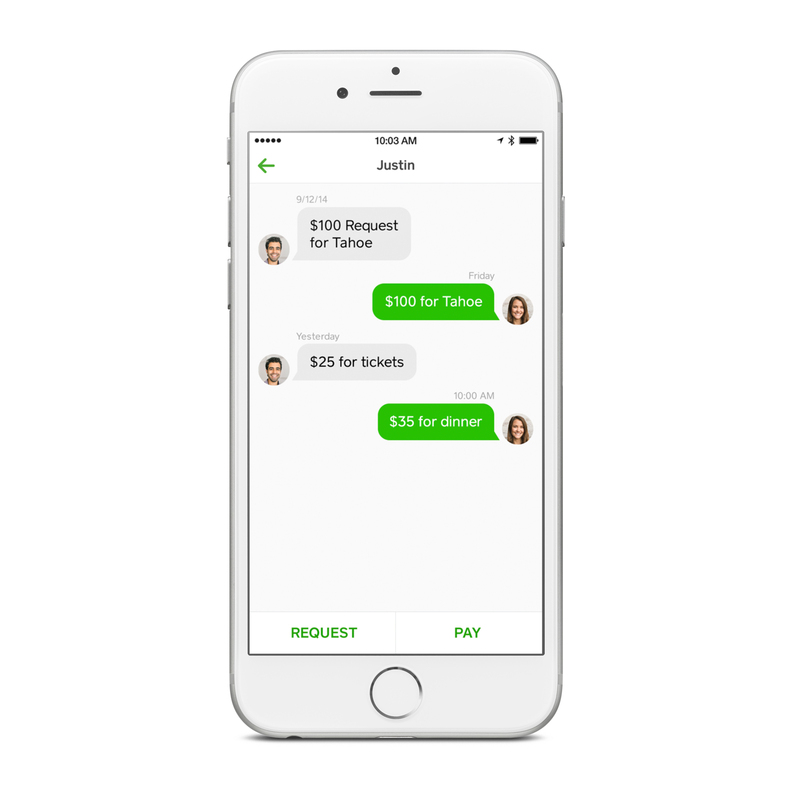 Save time by adding your Vehicle Type, State, License Plate and a card on file for payment. If you’re lucky enough to find metered parking near the Bayfront Park mayhem, you’ll be able to quickly pay for your parking spot on the app and receive notifications to extend your parking time. Own a smart watch? You’ll be able to view notifications with a “flick of da wrist.” If you’re staying on Miami Beach, you’ll need the Park Mobile app to park in that area. Yes, a different app. Miami likes to be extra. 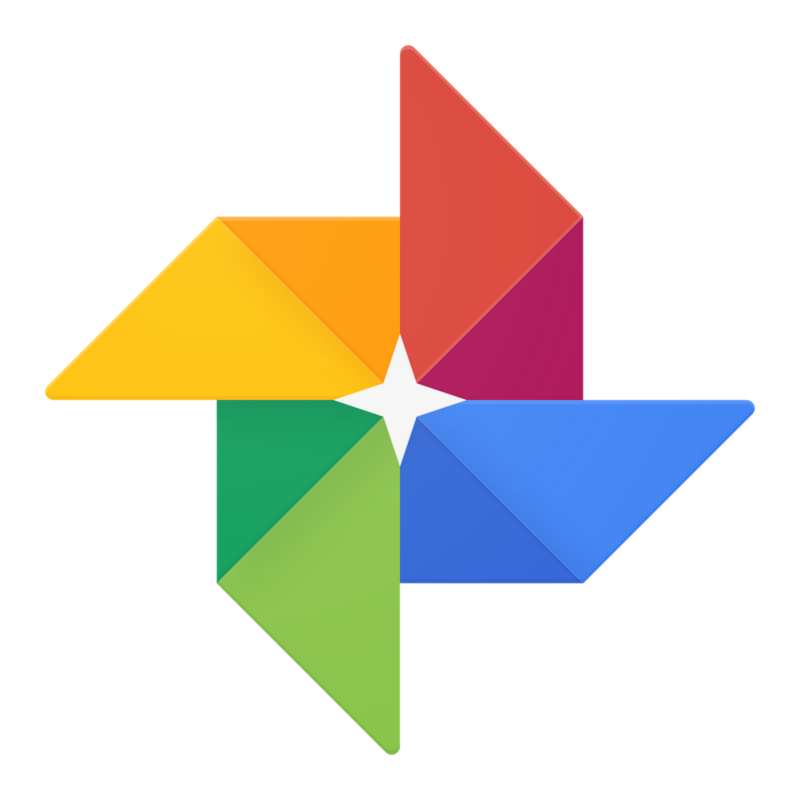 Back up and sync your phone’s photos on the Google Photos app before attending the festival. If you party hard, do this as insurance that you will have your photos in the google cloud. You know… in case you accidentally jump too high on the Swedish House Mafia’s comeback set (not confirmed, just rumors) and your phone happens to fall out of your pocket. Thank us later. At the festival, this app will help you identify a song you enjoyed from a set. You may currently have Shazam, but Sound Hound picks up sounds in loud areas. You can sing a song that you don’t know the lyrics to and it will deliver the results. Remember that most artist launch new music at Ultra, don’t expect it to pick up tracks that may not be online yet. It also has an integrated assistant, you can say “Okay Hound, play Let You Down by N.F.” and it will play a snippet of the song for you. If you connect your Spotify, it will play the whole song or music video. If you’ll be relying on public transportation, Miami-Dade County has the Miami-Dade Transit Tracker. This app is useful for planning your trips, estimating travel time, locating a bus route, viewing Metro Rail’s arrival/departure times and more. In April of 2017, Apple Music launched a mini-documentary series entitled Up Next. The monthly series focuses on up and coming artists. Each launch brings apple music users mini-documentaries, a latest album release, a live performance, and an interview. 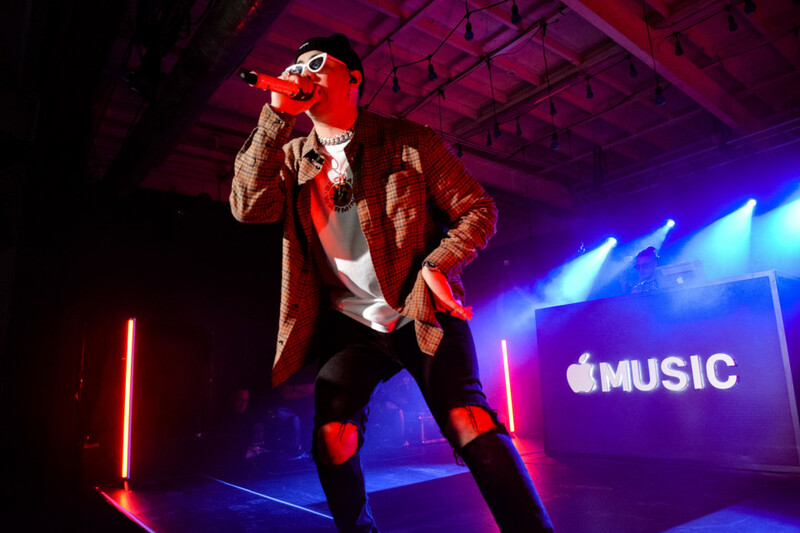 It’s latest launch, features Puerto Rican Latin Trap Artist, Bad Bunny. The 24-year-old artist who previously worked as a supermarket bagger, was nominated for Best Urban Song and Best Urban Fusion Performance at the 2017 Latin Grammy Awards. 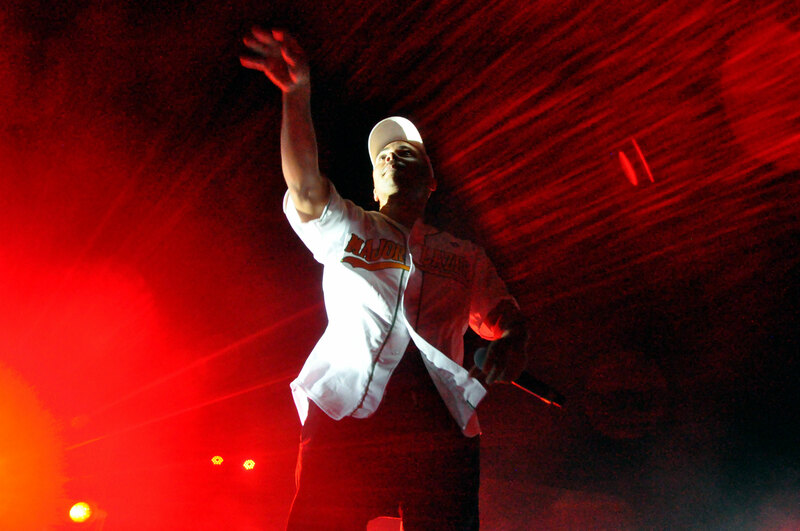 This year, he is nominated for iHeartRadio Music Awards in the Best New Latin Artist category. 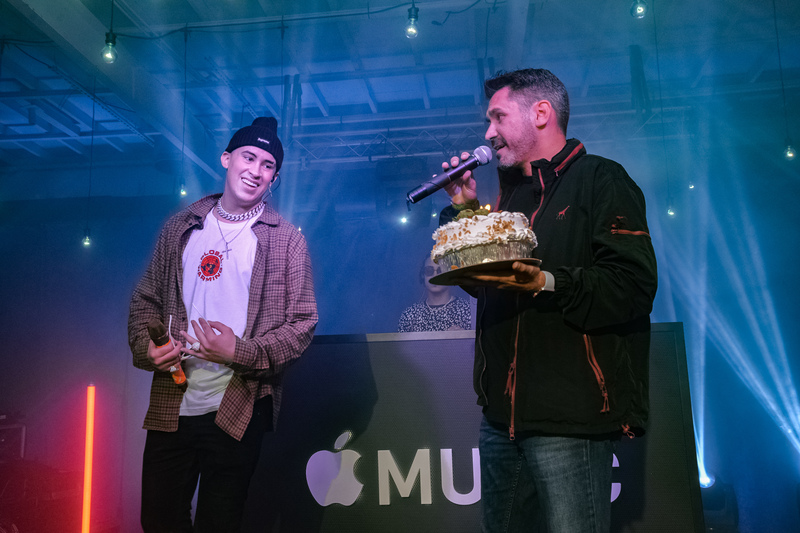 Last night, more than 400 Bad Bunny fans got to experience the artist’s Apple Music Up Next film and eight of his hit songs at an intimate performance at Bar 1306 in Miami. 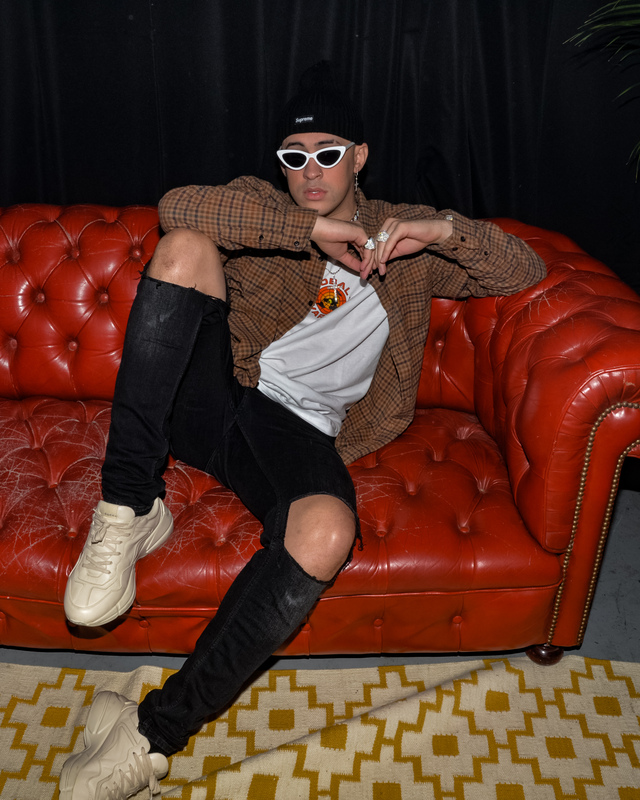 Bad Bunny got the Miami Crowd rowdy with Tu No Metes Cabra, to start his set at 9:40 p.m. Sporting a black Supreme beanie, white sunglasses and a diamond Cuban-link chain paired with a Chinatown Market Global Warming Tee. The artist surprised the audience by bringing out Puerto Rican reggaeton artist, De La Ghetto to perform the song Caile. Bad Bunny concluded his performance by thanking his fans for his growing stardom and asking them to not forget that he is out there representing every Latino. 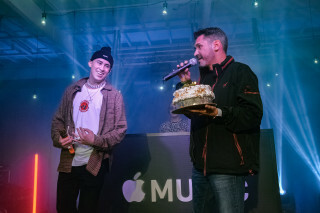 To close out the night, Apple Music Latin Programmer, Jerry Pulles brought out a candle-lit cake for the artist and had the crowd sing Bad Bunny Happy Birthday. The Apple Music Up Next film is available today on Apple Music. 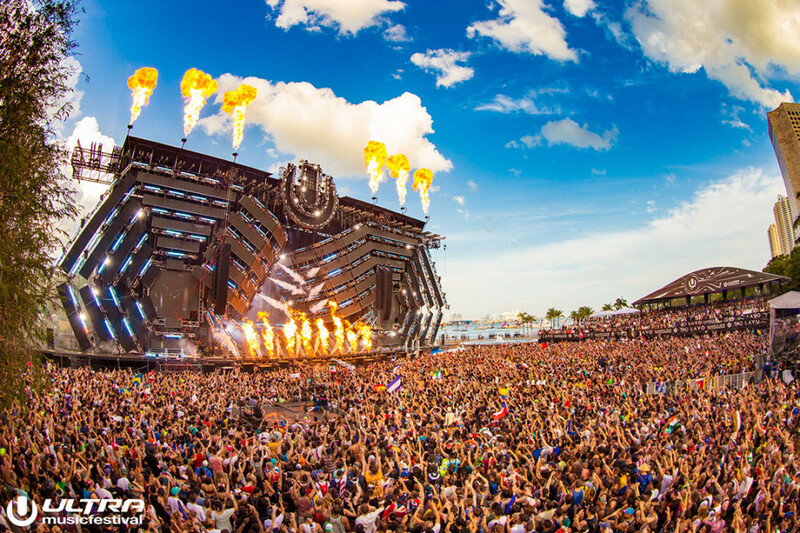 Every year, Ultra Music Festival makes its way to Miami and gives us a lot to talk about. From the chick that made out with a tree, to the naked Asian guy and more. 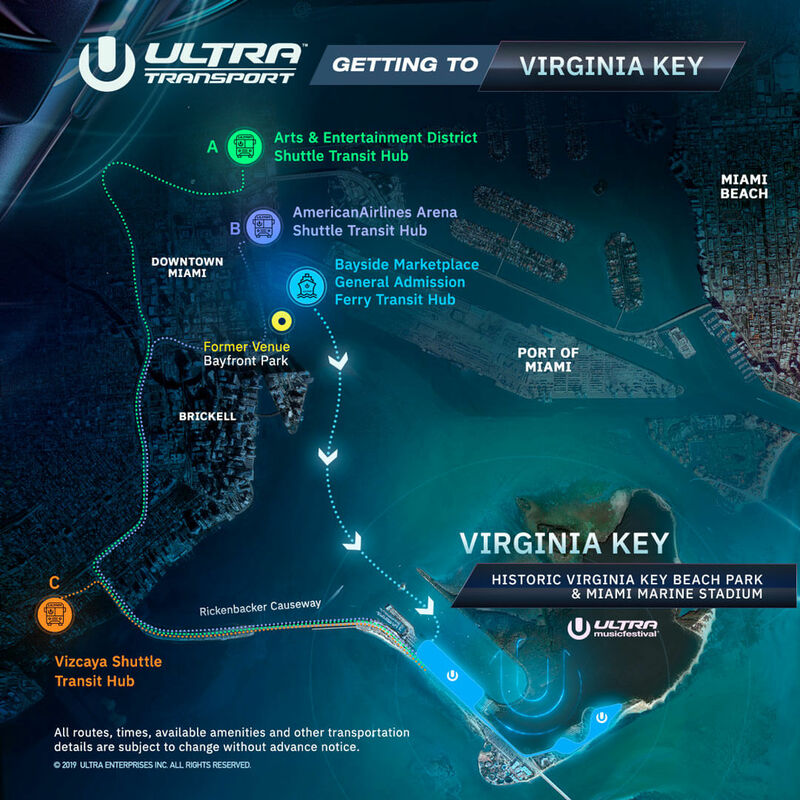 This year will mark UMF’s 20th anniversary with RESISTANCE returning to take over two areas at Bayfront Park. Think of it as a festival within festival. 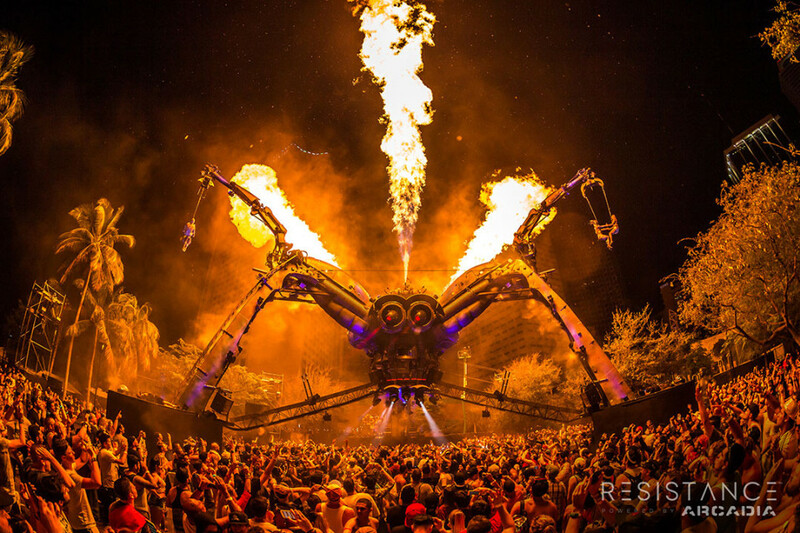 Carl Cox, the global ambassador for RESISTANCE will host the Megastructure on Friday, March 23 and 24. You can expect performances by Adam Beyer, Jamie Jones, Joseph Capriati, Josh Wink, Nastia, Dubfire, Nicole Moudaber & Paco Osuna and a debut appearance by Pan-Pot. 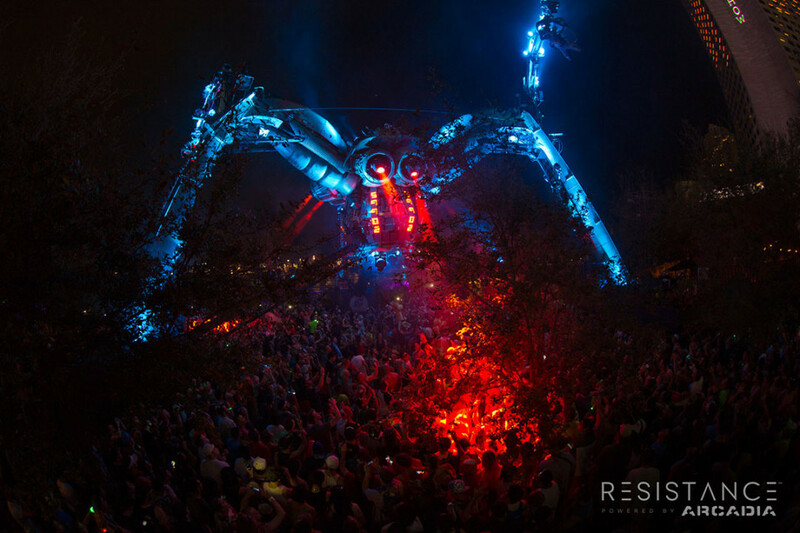 At Arcadia, ‘the Spider’ will include performances from Better Lost Than Stupid (Davide Squillace, Mattias Tanzmann & Martin Buttrich), Chris Liebing, Guti b2b wAFF, Hot Since 82, J.E.S.u.S (Jackmaster, Eats Everything, Skream and Seth Troxler), Nic Fanciulli, Patrick Topping & Special Guest, Sasha & John Digweed, Stephan Bodzin (live) and more. You can check out the other DJ stage lineups here and purchase tickets. 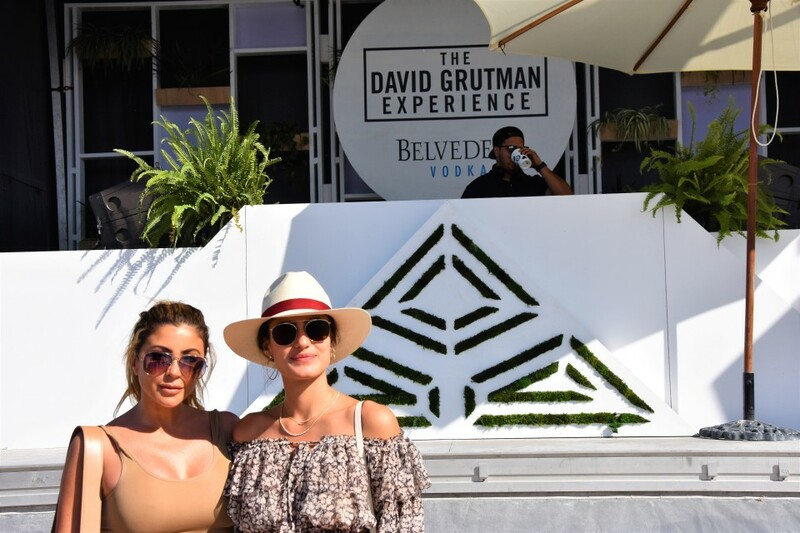 For a second year in a row, David Grutman partnered with Goya Foods’ Grand Tasting Village for The Dave Grutman Experience. 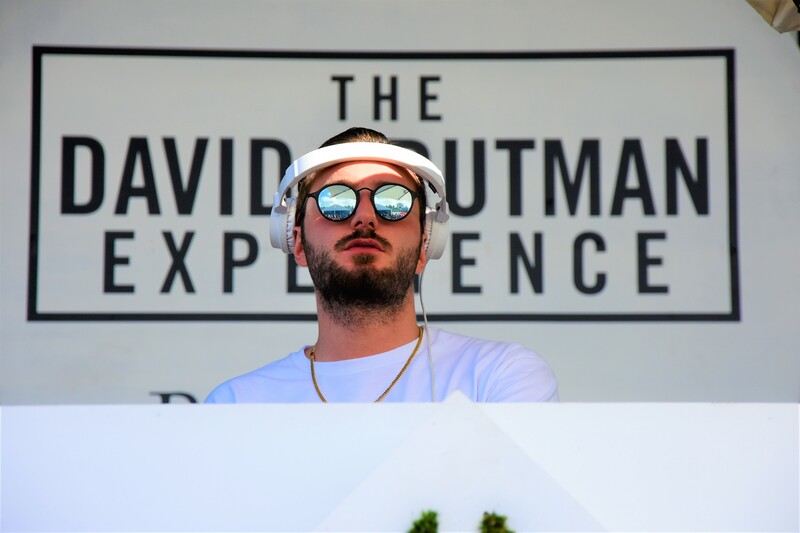 Right between the two signature Mastercard Grand Tasting Tents, Grutman curated the ultimate Sunday Funday. 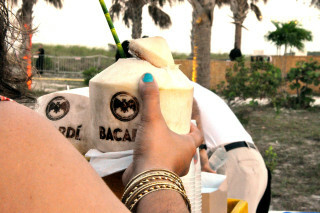 Festival goers enjoyed bites from his favorite South Florida spots including OTL and KOMODO as well as sips by N1CE Cocktails. It’s always a party with Grutman present. 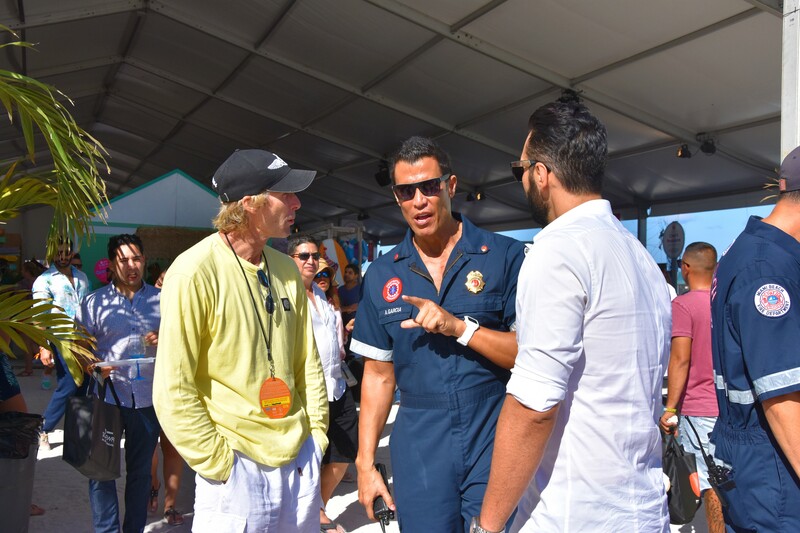 Those in attendance included his wife, Isabela Rangel Grutman, filmmaker, Michael Bay, Larsa Pippen and Cedric Gervais. Alesso began bumping sounds around 3:30 p.m. 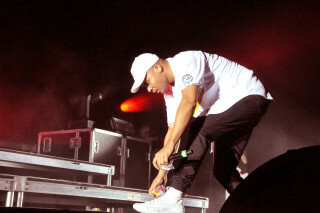 He kicked off his set with the hit song “Is that for me” featuring Anitta. The crowd went wild when he began mixing “More Than You Know” by Axwell and Ingrosso. Even Michael Bay took the time to record pieces of Alesso’s set on his phone. The colorful video aligns well with the theme of the song. 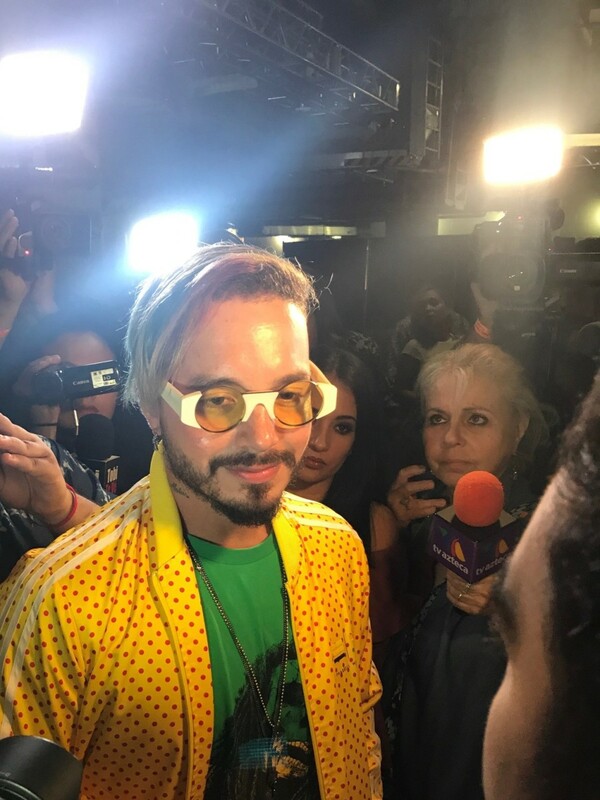 J Balvin continues to put out content that changes the music world with mixed rhythms. 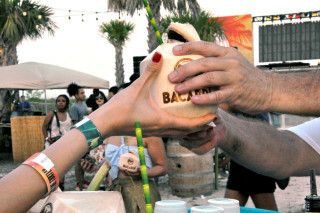 On May 26th, Bacardi launched a limited edition rum in collaboration with Major Lazer. 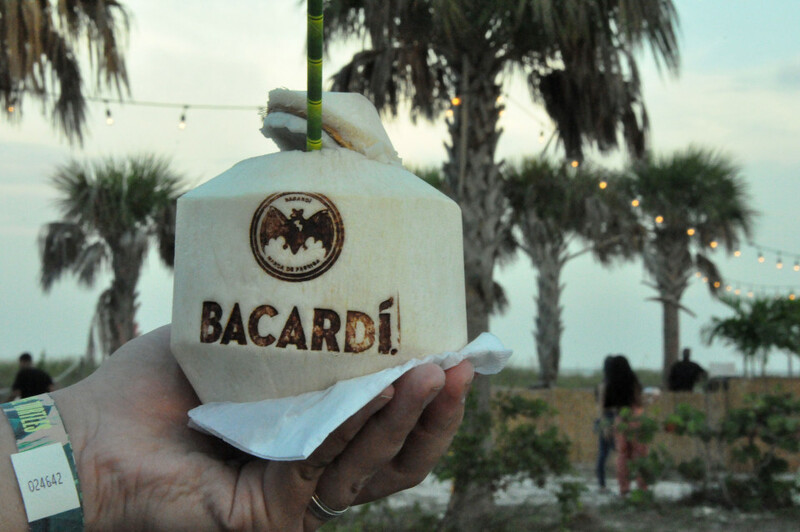 Together they hosted a summer kick off event at Bacardi Bay. The event took place on Virginia Key Beach with four pop up restaurants serving up island inspired cocktails. Miami’s most influential crowd snapped pictures at branded backdrops with coconuts imported from Thailand. 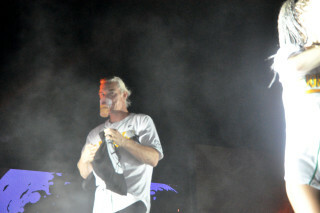 Diplo danced alongside his stage dancers to caribbean beats, while Jillionaire snapped pictures with guests before they hit the stage. Major Lazer took the stage at around 9:45 p.m. with Walshy Fire kicking off the musical set and firing off giveaways toward the crowd. Chanel Iman sat atop a speaker bouncing away at the American electronic music. Hundreds gathered in front of the stage until late catching the trio (Diplo, Jillionaire and Walshy Fire) play their favorite tracks. The tracks included Africa Now, Run Up, Despacito remix and more. Miami Crowd caught up with Mozart La Para at the 2017 edition of Miami Bash. 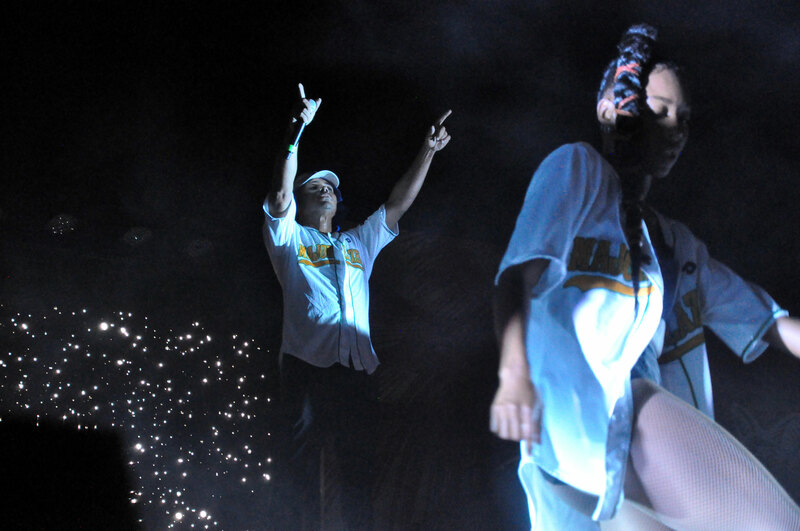 La Para is Roc Nation Latin’s first signed artist. La Paras’ most recent hit song Fiesta y Vacilon (party and fun), reached more than 1.9 million views to date. The song speaks on having fun with no strings attached. 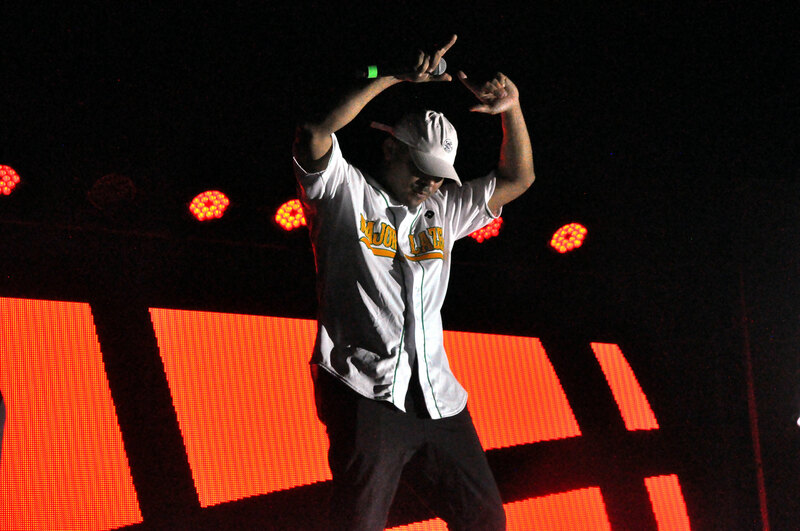 La Para’s energetic and fun personality, transcends into his upbeat musical vibes. 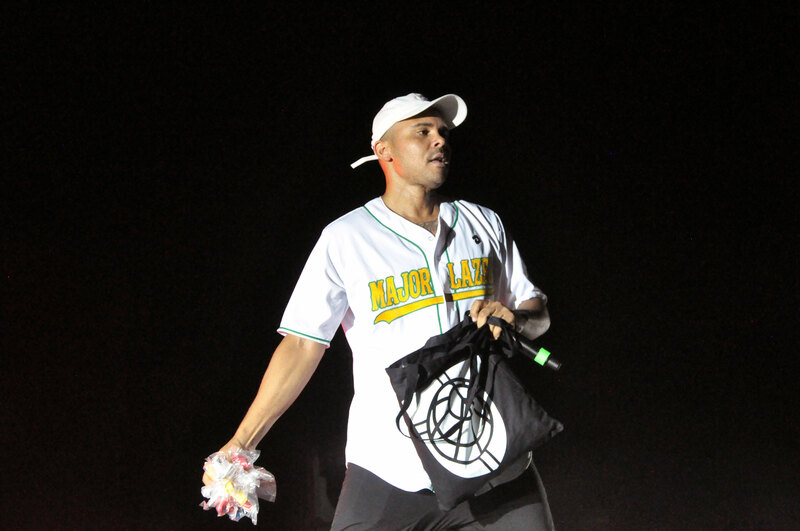 He spoke about his next track, including lyrics such as “I came to put order.” He gave the meaning behind his song Primero Que Kanye. He claims to be receiving the latest sneakers before Kanye. He states to be connected to the Adidas brand, this being the reason as to how he receives the Yeezy sneakers before public release. Clarifying that the Yeezy’s are Kanye’s collaboration with Adidas. 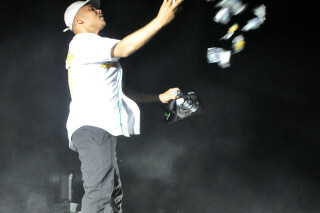 Being the first artist signed to Roc Nation Latin, we asked whether a collaboration with Jay-Z could be in his plans. To which he responded, “Could be.” The music genre is filled with newcomers and Mozart states he keeps uniqueness by “swimming against the current.” He aims to not make music that the audience wants, but rather innovates to bring his audience a new style of music. His goal is to pull his audience in with his multifaceted music style. He will appear in the upcoming Made in America music festival alongside Jay-Z, J Cole, the Chainsmokers, Kaskade, Marshmello, Migos and more.